The first time I saw Rebekah’s coach suiting her up in this catcher gear, I immediately thought “This is not going to go well!” She feigns exhaustion after merely attempting to lift her bag of softball gear to her shoulder, then dramatically grunts, sighs, and strains as she drags it across the ground instead of carrying it. I expected to see frustration at not being able to move easily in all that gear. She is such a tiny thing and the catcher gear swallows her whole. I wondered how she would even see the softball, much less get to it and throw it. Quickly, she surprised me. First, she thinks the difficult movement resulting from the catcher gear is hilarious. 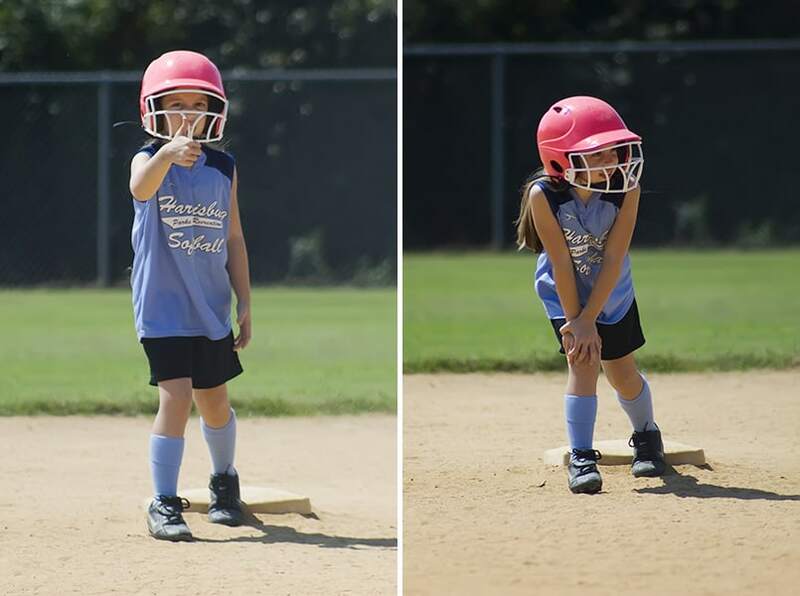 She giggles and laughs at herself as she struggles to and from home plate. 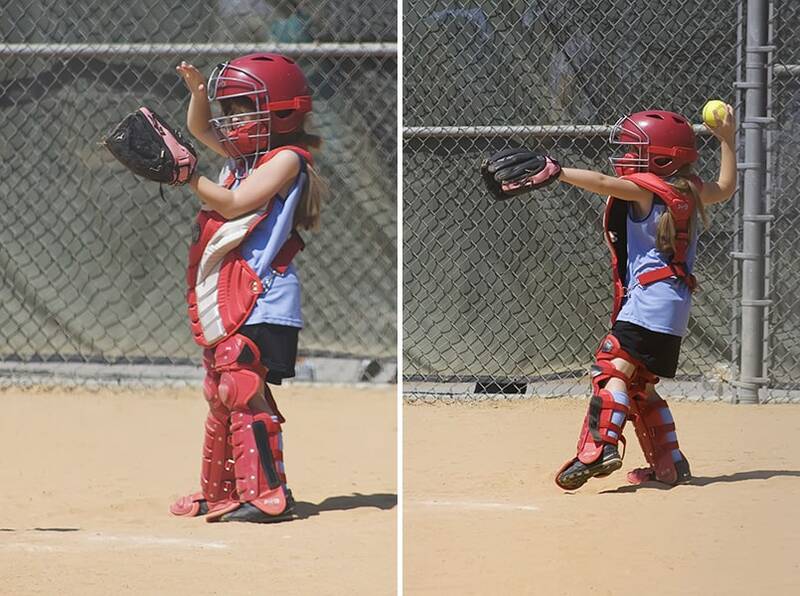 She loves the catcher’s job and hustles to retrieve the ball and return it to the pitcher. Her throwing accuracy has greatly improved due to the many times she gets to throw the ball during each game. It turns out that catcher is a wonderful position for Bek! Not only is she a super star catcher, but her consistency at bat is incredible. She still has the worlds cutest and longest pre-bat ritual. Getting herself perfectly placed before each pitch certainly works for her. She never strikes out! This week her very first hit was a triple!!! And her next one was a double.